Visit almost any retail pet store, and you'll see at least one cage full of small, lively, multi-colored birds. Feathered in shades of blue, yellow, green and various other color combinations, these birds have long been popular pets for people of all ages. Although most pet shop birds are bred and raised in the U.S., the breed is not native to this country. Everyone calls them "parakeets," but the name "parakeet" is a general category that includes all small to medium sized parrots with tapered tail feathers. Of the approximately 100 species of known parakeets, "budgerigars" -- or "budgies," are most often associated with the term parakeet. These colorful birds are friendly, sociable, intelligent and easy to tame. They are readily available, inexpensive, easy to care for and require little space. Recognized as the most popular and well-known pet parakeet, the budgie is native to the Australian "outback." In the wild, they band together in flocks that travel in search of food and water. Their diet consists mainly of seeds, grains and insects. Unlike their domestically bred, multicolored counterparts, wild parakeets are green with black banding across their wings, yellow facial feathers and long blue tails. Ancestors of today's modern parakeet lived in Australia long before the arrival of humans. 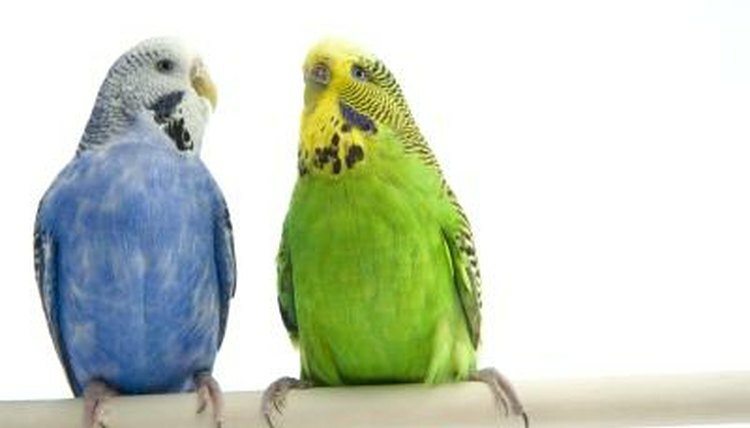 No one is sure where the name "budgerigar" originated from. It may have come from the aboriginal language meaning "good to eat," or from a combination of Australian slang terms. The first documentation of budgies was made in 1805 by George Shaw, an English botanist and zoologist. In 1840, the first budgie was introduced into Europe by an English ornithologist named John Gould. Captive breeding of parakeets began in 1850; 10 years after John Gould brought the first budgies back home to Europe. In 1870, the first color variation was recorded -- until then all budgies bore the green and yellow coloring of the wild parakeets. Budgies' popularity as household pets soared in the twentieth century as more people discovered their affectionate, sociable personality and their chatty good nature. Because of the ease of breeding, most of today's pet parakeets have been bred in captivity. Although budgies are the best known of the pet parakeets, they are only one of over 100 species of parakeets that are found around the world. Some of the more familiar ones include the monk -- or Quaker -- parakeet from South America, rosellas, which include the peach-faced lovebird from Africa and alexandrines, which include the Alexandrine parakeet from Ceylon. Budgie Care 101 All the Basics Plus More!